October 29, 2014 · by Zack Reyes · Post may contain affiliate links. See my disclosure policy here. If you're reading this, 2015 is either upon us or fast approaching. Printable grocery coupons in 2015 will be similar to what they were in 2014. We'll be able to find them in many places, including in print, on the internet and in apps. What I expect to increase is the availability of these coupons in apps on smartphones. With apps like Ibotta and others becoming very popular, I expect to see this trend grow throughout 2015. What is great about this type of app is they offer savings AFTER the purchase which means you can still use manufacturer's coupons when making the purchase. So you'll still be able to use printable grocery coupons in 2015 and save even more with these apps. A negative trend that I expect to see continue in 2015 is the changing of individual stores' coupon policies to make using printable grocery coupons in 2015 tougher. In 2014, we've seen stores make it more difficult by limiting the number of coupons people can use in one transaction, limiting the number of printed coupons people can use and more. That being said, I still think that you'll be able to save quite a bit of money by using coupons in 2015. It is still going to be a great way to save money and you can bet that I'll be printing and cutting coupons just like I was in 2013 and 2014. I also expect to continue to see some companies lower the value of printable grocery coupons in 2015. However, with the aforementioned apps like Ibotta and others, I feel that we, as consumers can still save about the same amount of money by taking advantage of all of the money saving opportunities out there. Good things to come with coupons in 2015? As mentioned before, the apps that help you save money will be more prevalent than ever this year. Additionally, new, upstart food and household companies will continue to adopt the trend of offering coupons to consumers. Even if companies only do this at the beginning of a products's life, we will get to try a lot of different and useful products for less money. I also expect there to be more mobile coupon solutions like Target's mobile coupons. These are great because you can load a lot to your phone and they only scan one barcode and all of your savings come off. With all of these options, I still think printable grocery coupons are not going anywhere and still seem to be the best single way to save money at the grocery store. The availability of printable grocery coupons on this site has consistently grown throughout 2014 and I expect that trend to continue in 2015. 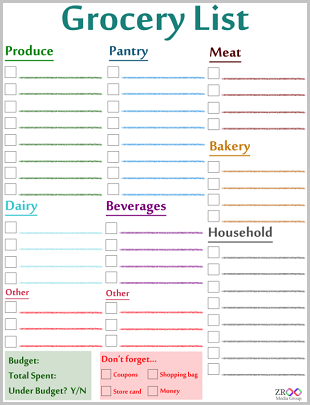 At any give time, there are over 400 printable grocery coupons on this site available for you to print. Take a look below for all of the current printable grocery coupons in 2015 and beyond! Be sure to bookmark this site and come back to print grocery coupons all year long. There are new coupons added every single week and many coupons reset each month, which means you can come back and print more than the monthly limit of 2! Happy saving!